One Budget Hack That Saves Me $1,400 a Year + 2 Week Free Trial of eMeals! If there’s one thing that never changes, it’s that dinner rolls around every single evening. I don’t know why I’m still surprised by that fact a couple of nights per week, but I still. But slowly and surely, I’m being saved from myself by using eMeals. I’ve been using eMeals for just about 3 years now, and it’s something I can’t live without. But on this, we agree! At $5.00 a month, eMeals saves you from having to spend 3 hours meal planning, compiling a list, and then trying to stick to a budget in grocery store. It’s completely worth it! $5.00 a Month = Cheap = Poor Quality, Right? Wrong. While I was compensated for this post with a free 1-year subscription to eMeals , I paid for my own subscription for about 9 months before this, and I can assure you that eMeals is one of the easiest, most flexible, and tastiest meal plans on the market. Let’s break it down, shall we? eMeals does more than just plan your meals. You can choose which type of meal plan you want (and change the plan at any time! ), tell them your family size, and your favorite grocery store. Then, each week, you get your meal plan delivered straight to your inbox (or you can download it from the eMeals website). This meal plan is not just main dishes either. Included in your meal plan are main dishes, coordinating side dishes, a detailed grocery listed organized by section AND coordinated with your grocery store’s weekly sales! …..And There’s an App for That! Both at work and at home, I have to be flexible with whatever I had planned. I have to roll with the punches every single day – and I’m sure you do too! That’s why it’s so awesome that you not only can choose from all of these different plans, but that you can change your plan at any time! Seriously cool! “Both Jane and Jenny are active moms, devoted wives, and very, very busy. Jane was frazzled over trying to pull off dinner for the family week after week. Her meal plans were scribbled on napkins and lost in her purse. So she went to work creating a better way to make meals happen. Along the way, Jane recruited Jenny, who is not only a fabulous cook, but also happens to be her sister. First, you pick your eating plan and your family size. 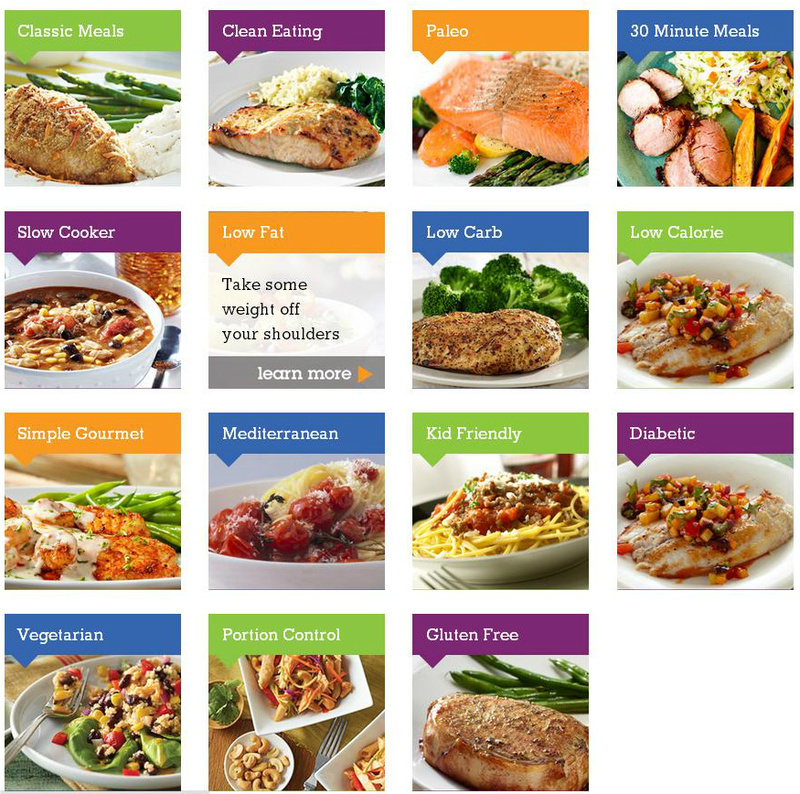 There are many different meal plans to choose from including Classic, Gourmet, Slow Cooker, and Portion Control. Under some of the plans, you can even choose your favorite grocery store! Personally, I love ALDI, so I chose that. What is amazing about eMeals is that when you choose your grocery store, it puts that store’s prices on your grocery list, giving you a good idea of how much you are going to spend. I have found this price list – at least at ALDI – to be fairly accurate. If anything, the prices are lower because an item went on sale! Second, each week a full meal plan as well as shopping list arrives in your inbox. You can also log in and print it from you eMeals account. While in your account you can also change your meal plan – anytime you want! Third, shop according to the included shopping list. The ingredients are divided into sections of the grocery store, and the list even includes “pantry staples” along one side that the recipes assume you have. A quick glance at the staples tells you which ones you need to pick up and which ones you have on hand. eMeals has some amazing meal plan options, and offers unmatched flexbility, but my favorite part by far is the grocery list. 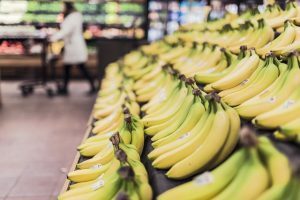 Each week your grocery list is delivered to your inbox, categorized by grocery store section, and even has columns denoting which meal the items are to be used for, as well as pantry items you may already have on hand. In addition, the meal plan is created with your store’s weekly sales in mind. For example, I love shopping at Aldi, therefore I have my store in eMeals set to Aldi. When I get my Aldi sale flyer in the mail and see that green pepper are discounted this week, I know that chances are they’re going to show up on my meal plan from eMeals ! eMeals recipes are fairly simple (even the gourmet plans) but my whole family agree that they’re no less delicious because they’re simple. My husband can even cook dinner off off of our eMeals meal plans – and that’s saying something! The meals come numbered on the meal plan, but of course, you don’t have to make them in that order. Each recipe is based on your family size, and lists any prep work as well as the total time to make so that you can switch from a longer-cooking meal to a shorter one if you’re particularly busy that night. Each meal also tells you if it’s a quick weeknight meal, so if you need to throw something in the crockpot before heading out for the day, you have a heads up. Also, eMeals has options to add breakfast, lunch, or dessert menus to your plan. You can get started with eMeals for as little as $5.00 a month, and as awesome as that sounds, I have something even better for you! Are you ready for the freebie? If you’re not quite ready to pull to trigger on paying for meal planning ( I get it, I really do) right now, you can try two full weeks of their service absolutely free to see if you like it. If you decide to stick with it after the two weeks, you can enjoy your choice of over 60 meal plan options including breakfast, lunch and dinner – Just click the banner above or below to get started! You’ve (hopefully) read about how I’m Going Back to My Roots – In Finances & Health, to help me lose weight and get our budget under control, and I’ve found that eMeals helps me with both! Not only does eMeals help keep our grocery budget on track with their awesome meal plans, it helps me to eat cleaner because they have so many tasty, healthy, meal options. No more do I eat like crap at night because I don’t know what to cook. No more do I run to the grocery store “to just grab some lettuce and chicken for salads” and then end up with Moose Tracks and brownies. Could This Deal Get Any Sweeter? Yes, yes it could. When you sign up for your free 2-week trial of eMeals (that ONE TOOL that saves me $1,400 a year), eMeals will throw in a FREE Comfort Foods Menu, chock full of all your favorite fall foods!